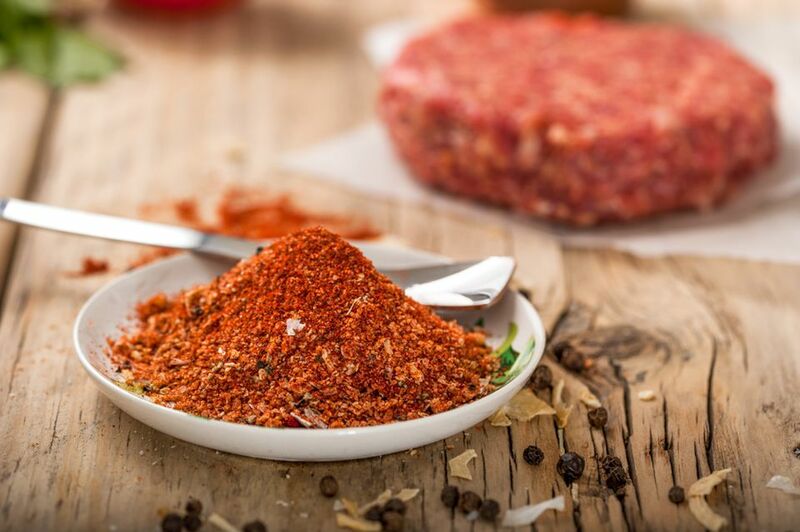 This is a simple, basic burger seasoning made with optional minced dried onion and a variety of seasonings. When you're ready to use, mix the seasoning into the ground beef or sprinkle over the burgers as you cook. It's great for grilled, broiled, or pan-fried burgers. As well as these ​juicy baked burgers. If you're not feeling burgers, but still want to incorporate it with ground meat, we suggest using it to season in your favorite meatloaf or meatball mixture. Combine all ingredients; blend well. Mix 2 teaspoons into each pound of ground beef or sprinkle over burgers as you cook them. We use a small amount of cayenne pepper in the seasoning, but feel free to leave it out if you prefer a milder burger.